Prakash has a BE in Mechanical Engineering from Institution of Engineers, India. Prakash has spent nearly 21 years with the Dairy Industry in India across several large organizations. His focus has been on pre-sales, testing and adaption, and after-sales service of dairy equipment. He has been closely involved in the installations of milk chilling equipment at the village level and has developed the processes for scaling up through a dedicated team of technicians and engineers. 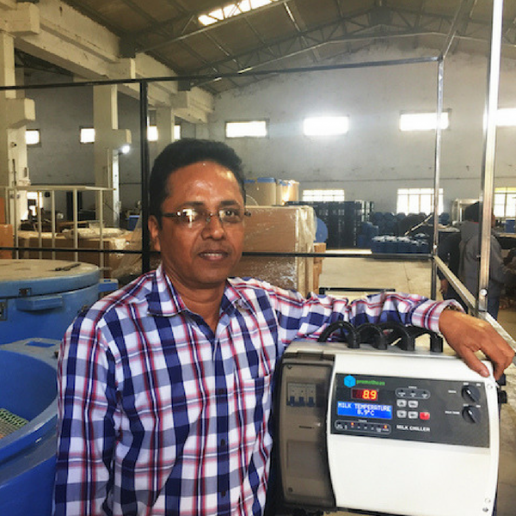 Prakash has contributed to the livelihoods of the dairy farmers we service by holding several successful training sessions in best practices based on experience with the major dairy processors. He is passionate about the social impact on farmers in India and his organizational and management skills have proven to be invaluable to Promethean’s operations in India.